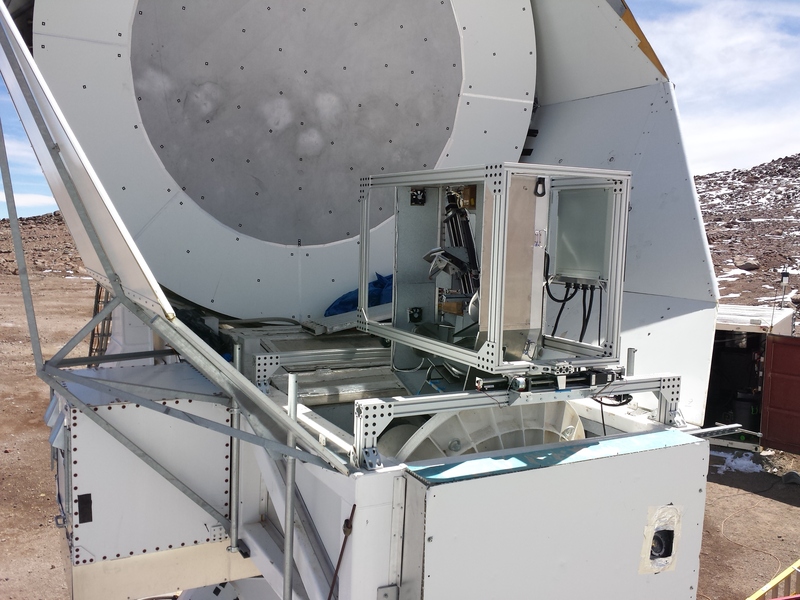 The Fourier Transform Spectrometer (FTS) that UCSD has built specifically to be coupled to the Huan Tran Telescope is based on a Martin Puplett (MP) design. MP interferometers work by interfering polarized light, as opposed to Michelson interferometers which are unpolarized, and are thus the choice when when doing spectroscopy with the polarized detectors being used in CMB research. For the radiation source we used a ceramic heater coated with a tile of silicon carbide. This makes an excellent black body at a temperature of 850 C with very small gradient. 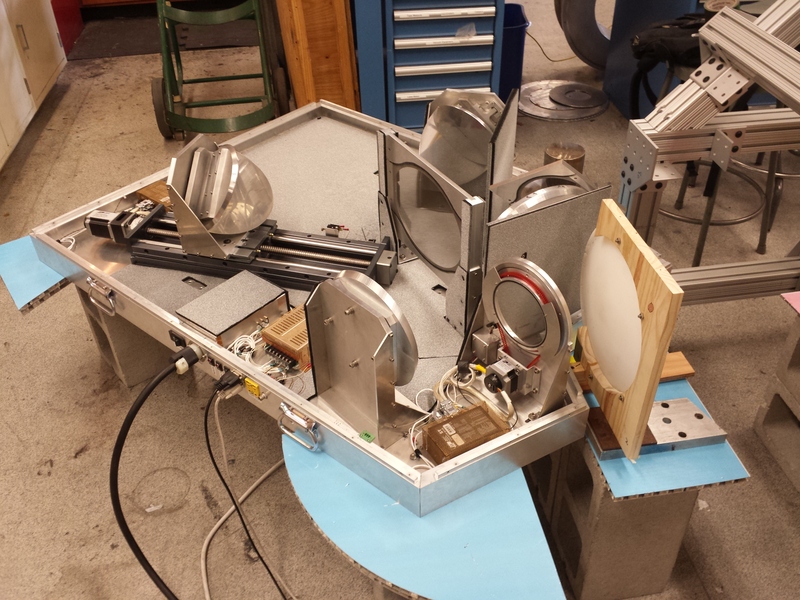 The wire grid polarizers and beam splitters used were made at UCSD on our custom winding machine. We used 25 micron tungsten wire at a pitch of 100 microns, for use up to 500 GHz. The input polarizer is set to 45 degrees and the beam splitter to 90 degrees with respect to the optical plane. The output polarizer is attached to a rotating mount that spins at a constant 2 Hz, modulating the signal by 4 Hz. The mount also keeps track of the reference signal, to be used later with lock-in amplification and demodulation in analysis. The translation resolution of our movable mirror as well as the design of the topology of our optics makes for two potential modes of operation. With the goal of high throughput (beam size) our FTS was built with the internal optics 20 cm in diameter. This material is based upon work supported by the following foundations. Any opinions, findings, and conclusions or recommendations expressed in this material are those of the author(s) and do not necessarily reflect their views.